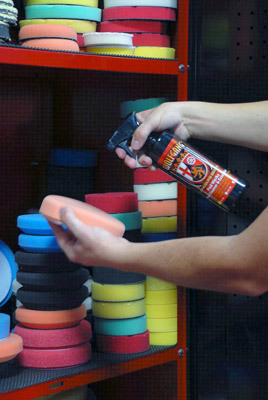 Protect your growing investment of buffing and polishing pads with the Wolfgang Pad Werks Pad Cleaner & Extender Combo! 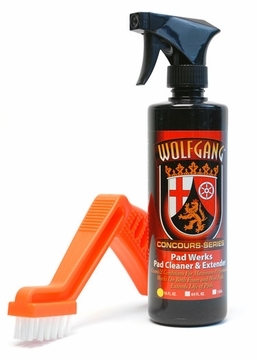 This combo includes Wolfgang’s innovative Pad Werks Pad Cleaner & Extender and the Foam Pad Conditioning Brush. Advanced cleaning agents in Wolfgang Pad Werks Pad Cleaner & Extender release caked-on polish and wax residue while conditioning agents preserve the pad for future use. With this combo you can effectively clean and preserve your buffing and polishing pads for future use. Cleans and conditions pads for future use! Wolfgang Pad Werks Pad Cleaner & Extender is a unique and special blend of emulsifiers and conditioning agents that will help release compound and polish residue from buffing pads. This unique formula also conditions the pad to preserve them for future use. 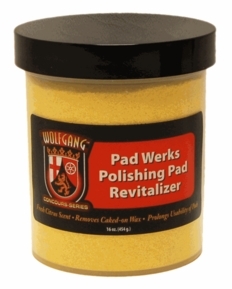 Wolfgang Pad Werks Pad Cleaner & Extender is unlike any other product available and is a perfect compliment to your growing collection of buffing and polishing pads. What’s more, Wolfgang Pad Werks Pad Cleaner & Extender works on all pad types! The emulsifiers contained in Wolfgang Pad Werks Pad Cleaner & Extender go to work quickly, breaking-up and dissolving all types of compound and polish residue. This makes residue removal easier and prevents damage to the pads. Advanced conditioning agents rejuvenate and preserve the pad, keeping them resilient and pliable. This handy orange brush is made with a set of stiff bristles that easily pull caked and dried products out of the foam pad. And the specially shaped handle makes it comfortable to grip and keeps your hand away from the spinning buffer. When you’re finished with your buffing pads for the day, saturate them with Wolfgang Pad Werks Pad Cleaner & Extender and use the Foam Pad Conditioning Brush to break up and release caked on polish and wax residue. A total retail value of $27.98. 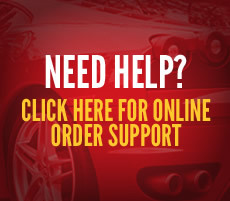 You save $5.99!